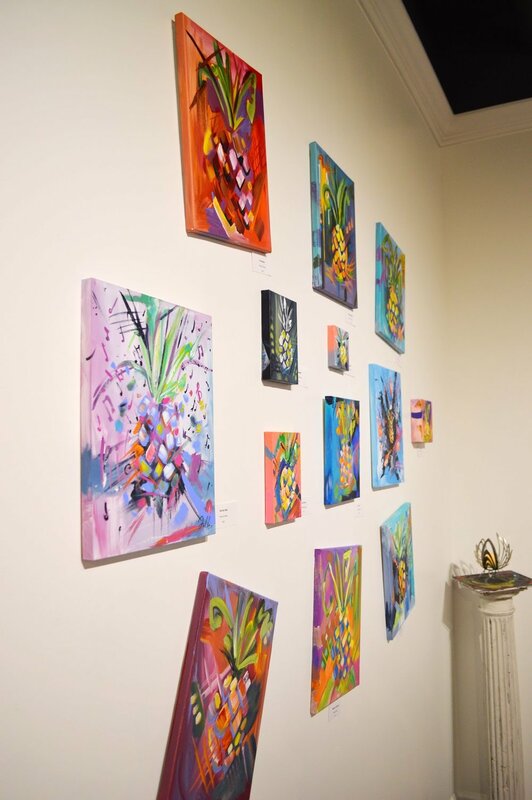 CAF Creations - The Uplifting Works of Corinne Fallone — Whitman Works Co.
(Penfield, NY) In a surprise July exhibition, the incredible works of Corinne Fallone (CAF Creations) will be on display in the Whitman Works Gallery starting July 5th! Ms. Fallone's art works express optimism and color that should pervade everyone's lives. 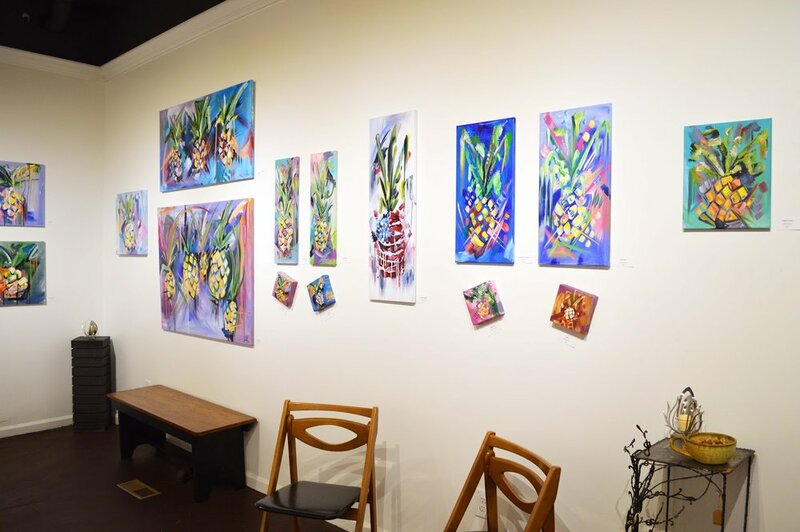 Her message of friendship and positivity in her newest series of paintings featuring Pineapples is the latest in her evolution as an artist. We are proud to present her works in our main Gallery until August 9th. Corinne Fallone is a full time freelance illustrator and a resident of Rochester, New York. She received her BFA in illustration at Rochester Institute of Technology and since then has started her own business, CAF Creations. As a 24 year old entrepreneur, Fallone paints to inspire and lift the spirits of those around her. Her passions include painting and the art of dance. Fallone has learned to use movement, a physical expression from the heart, and translate that emotion onto canvas. Her vibrant and colorful paintings derive from her optimistic outlook on life and persistence of following her dream of becoming an artist. Fallone primarily works with acrylics on canvas using a variety of embellishments to increase the texture and sheen of her artwork. She puts her whole heart into all of her artwork and is continuously inspired by the beauty and colorful world around her. 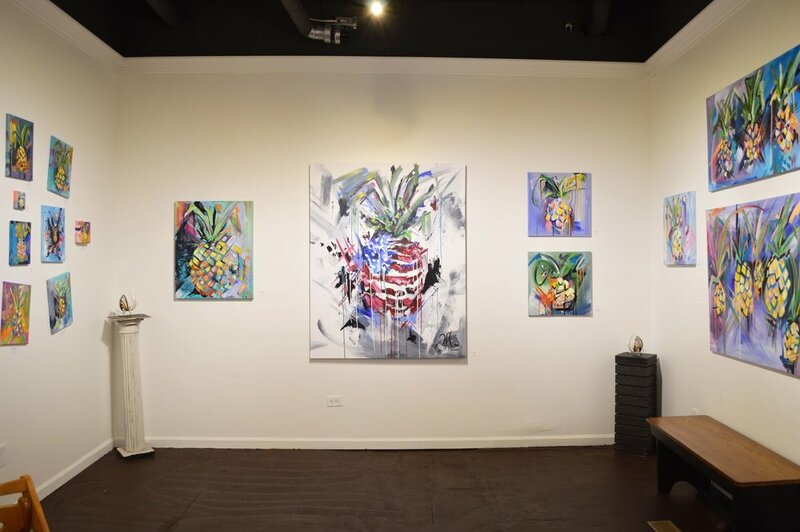 The eclectic style of emerging artist, Corinne Fallone, has evolved since her recent trip to Italy where she was deeply touched by the influx of color from the Amalfi Coast and humbled by the experience to travel with her family. Her Italy endeavors led her to new a new and exciting opportunity to work with a company called ArtWave that promotes her artwork over seas. Corinne’s Mediterranean inspired artwork is currently sold in auctions on luxury cruise ships that sail world wide.